U.S. Ambassador to Korea Harry Harris on Monday tried to calm a naval spat between Korea and Japan in closed-door meetings with Defense Minister Jeong Kyeong-doo and Foreign Minister Kang Kyung-wha. The U.S. seems to have grown alarmed at the escalating conflict between its two regional allies over Japanese spy planes buzzing Korean warships in the East Sea and taken on the role of mediator. 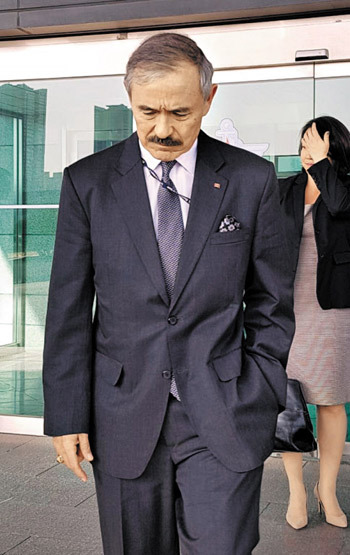 Harris made an unannounced visit to the Defense Ministry in Yongsan on Monday afternoon and spoke to Jeong for about an hour and 20 minutes. The main point was to exchange views on cost-sharing for the upkeep of the U.S. Forces Korea, which the two sides have failed to agree on, but considerable time was apparently spent discussing the naval spat with Japan. Jeong "explained how unreasonable Japan's claims are, while Ambassador Harris voiced concern over the conflict between the two countries," a ministry official said. 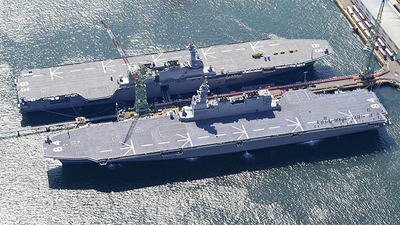 Japan complains that a Korean destroyer last month locked its firing radar on an overflying Japanese plane but has since continued close flybys. Harris then visited the Foreign Ministry to meet Kang. A diplomatic source said, "The U.S. had conveyed hopes that Korea and Japan can avoid a media war, but the two sides keep clashing." The U.S. government tries to stay neutral in conflicts between Korea and Japan that do not have a direct impact on America's interests. But the naval spat has flared up ahead of a second Washington-Pyongyang summit, raising concerns the regional security alliance weakening. But the current spat is only the most recent manifestation of deepening rifts between the two neighbors over historical issues. Tokyo wants diplomatic talks over a 1965 treaty that normalized bilateral ties in return for lump sum compensation for all colonial abuses, which the Supreme Court here has ruled cannot override individual claims for compensation. But the Korean government has decided to reject the request. "Cheong Wa Dae's final decision remains to be made, but Japan in 2011 rejected a request for diplomatic negotiations" about compensating Korean women forced into sexual slavery by imperial Japan, "and we intend to make it clear that we can't accept its proposal now." Japan's rightwing government, meanwhile, is milking the spat for its slipping appeal to chauvinistic voters. Japanese Foreign Minister Taro Kono said in a speech at the Diet that Tokyo will "respond to the issue by clearly conveying" Japan's claim to Korea's easternmost islets of Dokdo. The Foreign Ministry here promptly protested and urged the Japanese government to retract the spurious claim. The Defense Ministry now says it will raise the threatening flybys at the Western Pacific Naval Symposium in April, a biennial meeting of Pacific nations to discuss naval matters. Defense Ministry spokeswoman Choi Hyun-soo said, "Discussions will take place at that meeting. It looks like international regulations and conventions need to be established in order to prevent similar incidents."